The European project EPISCOPE has been launched in April 2013 as a follow-up of the TABULA project. The typology concepts and contents developed during TABULA form an integral part of the new project and are therefore presented at this joint website together with the new EPISCOPE focus of building stock monitoring. Starting point was the TABULA concept of residential building typologies which was continued and expanded. As a further step the scope was extended towards the elaboration of building stock models to assess refurbishment processes and project the future energy consumption. Case studies were conducted in 16 countries to track the implementation of energy saving measures and their effect on the consumption in practice. 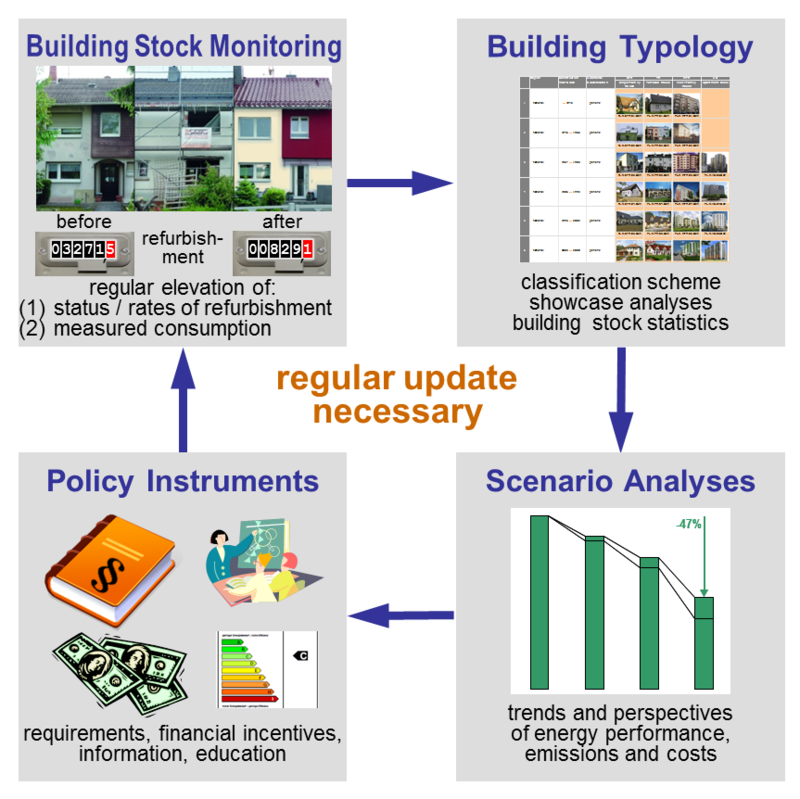 A main outcome is a concerted set of energy performance indicators which shall enable key actors and stakeholders on different levels to ensure a high quality of energy refurbishments, the compliance with regulations, to track and steer the refurbishment processes in a cost-efficient way and to evaluate the actually achieved energy savings. A long-term objective was to install bottom up monitoring procedures in each European country in different fields: in energy certificate databases, representative surveys, regional or national census, heating or energy bills, strategic asset development, energy management.